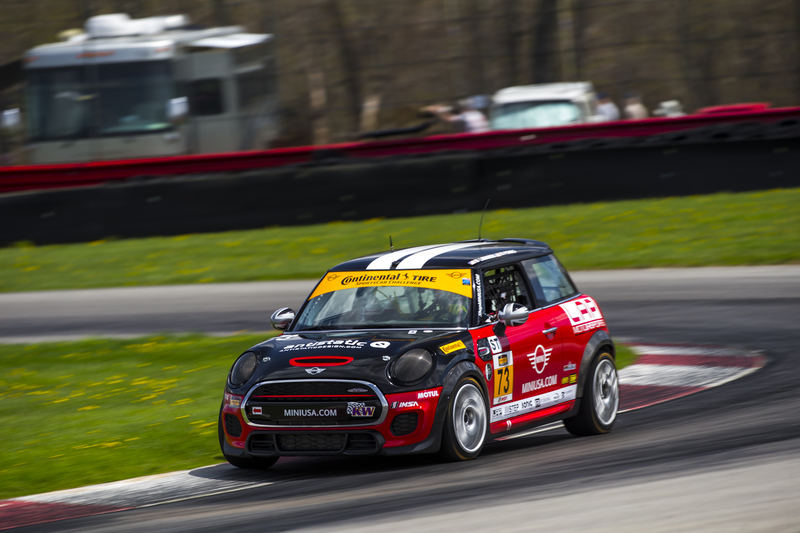 95Octane.com has a great recap of the Mid-Ohio weekend for the MINI JCW Team. Check it out here. The team itself isn’t the only part of the equation that’s completely comfortable with being in its own skin either; all three of the LAP Motorsports MINI race cars are just as grassroots as the rest of the operation. They may sit atop a set of KW coilovers with upgraded brake pads underneath, and most certainly sport all of the expected safety additions and weight reductions, otherwise these cars are pretty much stock. While much of the competition is packing tuned ECU controllers, larger intakes, and fancy exhaust upgrades, the MINI team rolls with almost entirely stock components, and relies instead upon the prowess of the people behind the wheel.